Adam Rautio, serving with Voyageurs National Park Association (VNPA) in Minnesota has worked to build the capacity of the National Park Teen Ambassador Program. 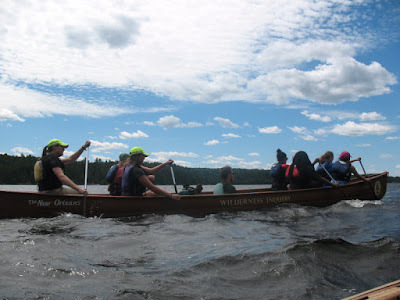 The program introduces 30 Minnesota high school students, most from economically disadvantaged and underserved communities, to Voyageurs National Park for a five-day outdoor experiential learning trip. The program has three main themes: leadership, environmental stewardship, and careers, which are taught through the “Telling the Story of the Park” program curriculum. My favorite memory from our Voyageurs trip was when we did group activities/games and we all worked together. I will take that experience of friendship and cooperation with me for the rest of my life. To both promote and staff the program, the VNPA has partnered with College Possible, and Wilderness Inquiry. College Possible is a nationally recognized organization that helps make a college a goal for thousands of low-income students through a system of coaching and support. Wilderness Inquiry specializes in connecting urban youth, families, and people with disabilities to the outdoors. Wilderness Inquiry staff directly supervise participants during their trip (alongside the staff of the National Park Service.) They provide training in wilderness safety, first aid, and team dynamics. Between July 22 and August 2, two groups of Ambassadors journeyed to Voyageurs National Park from communities across Minnesota. Ambassadors paddled, hiked and camped in a 266,000 acre National Park. 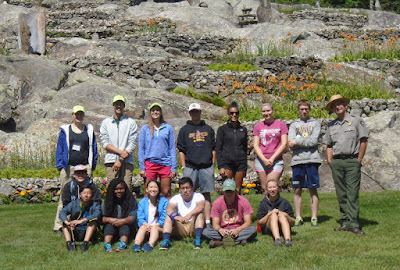 Ambassadors learned about the cultural heritage, ecological relationships of the park’s animals and plants, the geology of the park, employment with NPS, and participated in a research project where they set up wildlife cameras for several days and reviewed the findings with park staff. Animals on camera included wolves, deer, rabbits, and a moose. In order for the next generation to be invested in Voyageurs, they first need to understand the park and its resources. Giving teen ambassadors a chance to assist with a wildlife research project helps them connect to the park in a unique way. All the Ambassadors will have the opportunity to take an additional canoeing trip on the Mississippi River from August 18 – 20. Ambassadors will continue to participate with the program by telling their own stories of the park, through family, friends, community groups, and volunteer events. The ultimate goal for the National Teen Ambassador program is to give the teens an enduring and transformational outdoor experience and empower them with a sense of pride, awareness, ownership and responsibility for national parks and our natural world. Thanks to Adam’s work developing partnerships and measurement systems for the project, the success of the Teen Ambassador Program in reaching out to underserved has been well documented. This will allow for further program development through VNPA in the future.